Community outreach is important because it creates spaces for dialog, understanding, and opportunities for symbiotic work. In meaningful community outreach, individuals need to listen, listen, and listen so that both sides understand the needs, expectations, and hopes of everyone at the table. In my work in reaching out to high school students and communities around the country, a key goal is always to have open ears and to be attuned to what people are saying both in terms of the words and body language. Through this form of outreach, it is easier to encourage students to pursue careers in biomedical research and sharing the joy and excitement of inquiry and discovery that can lead to improved health for all. I have worked at the NIH for over nine years. Through my position at NIDDK, I am working daily to increase representation of African-Americans and all historically underrepresented groups in the biomedical research workforce. A great deal of this work is through the Short-Term Research Experience Program for Underrepresented Persons (STEP-UP), Diversity and Re-entry Supplement Program, and the F-31 Diversity Fellowship. 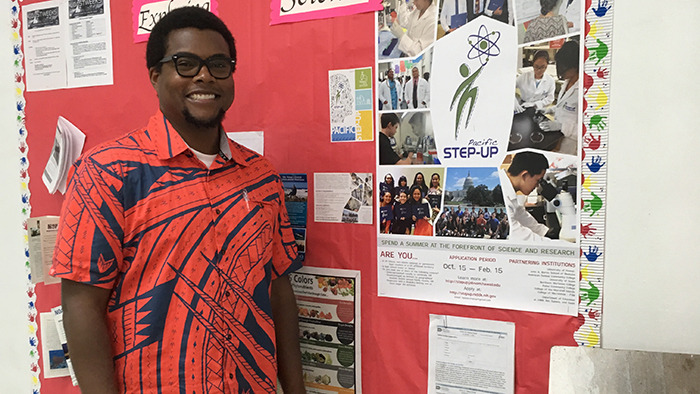 Through the STEP-UP program provide Junior and Senior high school students the opportunity to participate in a summer’s long research experience and then students travel to the campus of NIH to present their research finding. The opportunity for African-American high school students to experience innovative research experiences is one concrete way we are working to improve the composition of the STEM education pipeline. However, I realize that this program alone cannot make all the difference in the current underrepresentation in our biomedical workforce, but we know this is a step in the right direction based off interim evaluation results. In addition to STEP-UP in a personal capacity, I always try to speak with community groups that come on campus and share about research opportunities and the joy of careers in research. As a graduate of Kentucky State University, an HBCU located in Frankfort, Kentucky, I know firsthand the importance and the role HBCUs have played since Reconstruction to this present day in training doctors, scientist, and researchers. To build even stronger partnerships with NIH there needs to be a focus on the opportunities for collaboration and understanding where there might be synergies of effort and work. My door is always open to looking for ways to build a stronger partnership and I open to listen and find out how NIH can serve as a positive change agent in supporting research and training at HBCUs. My leadership style is based on leading through serving. In leading and life, I always try and ensure that everyone that I am leading is fully engaged in the decision-making process and has a seat at the table. Success means - together we are in a better place now, than where we were when we started, and we are working in a just and equitable way.